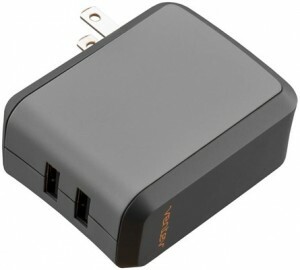 The Ventev wallport r2240 is a universal dual output USB port, rapid charging (2.4A per port) wall charger. Will charge 2 devices at the fastest possible rate, including power hungry tablets. Works with most powerstrips Cables sold separately.